PACKAGE The “Be My Valentine” package includes a one-night stay in a Superior Room; dinner for two at the hotel’s restaurants (with a choice of Rouge, Airport Izakaya, Dragon Inn, or China Coat Bar + Grill); free in-room internet access for up to four devices; as well as use of the health club. For an added romantic touch, splash out HK$350 (US$45) for a 55-minute massage treatment at OM Spa. PACKAGE Guests that take up the hotel’s “My Sweet Valentine” package will be accommodated in a Deluxe Room in the Garden Wing. The romantic getaway includes a poolside candlelight dinner at Orzo restaurant, as well as a weekday lunch or weekend brunch for two at D’Cuisine. 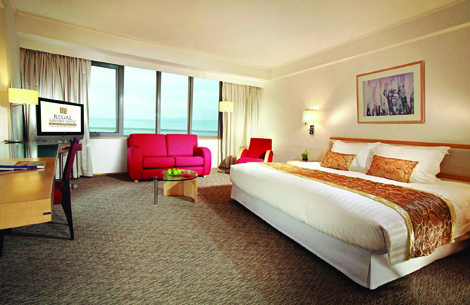 For an extra US$20++ per night, guests can also upgrade to a Premier Deluxe Room in the newly opened Inya Wing. 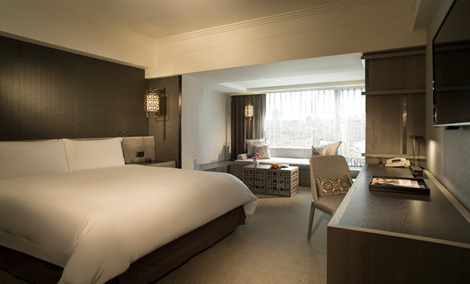 PACKAGE For one-night only, experience the “Love Suite Love” package by Rosewood Beijing. It includes a stay in a Premier Spa Suite, complete with two glasses of Dom Perignon Champagne, chocolate-coated strawberries and 30 red roses. The deal also comes with a 45-minute poolside foot massage for two, along with a candle-lit 90-minute couple’s massage in the privacy of the suite. 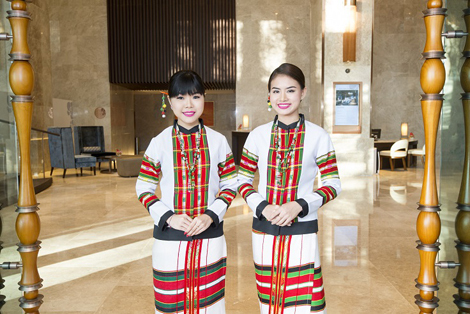 Also included is a five-course Valentine’s degustation dinner with Champagne (normally worth RMB2,188 per couple), as well as a romantic bath with personalised yukata robes. PACKAGE It all starts with a stay at one of the hotel’s newly refurbished Garden Suites, where guests will find a Valentine’s hamper filled with freshly baked French pastries, a bottle of Bollinger Champagne, and Cyrano Savons Gemme soap. An outdoor candle-lit dinner follows at a private alfresco garden terrace, accompanied by a violin concerto under the stars. And if that wasn’t enough, couples can also enjoy a pampering treatment at the Wellspring Spa, breakfast for two the following morning, and late check-out. PACKAGE The price might make your wallets burn, your partner is sure to appreciate every dime of The Ritz-Carlton, Macau’s Valentine’s Day Package. Shopping experience at Tiffany & Co with a purchase of up to MOP50,000 (US$6,234). PACKAGE It just keeps getting bigger and bigger! The 300 sqm Oriental Suite has played host to royalty, heads of state and international celebrities in the past – and now it can be your ultimate romantic hideaway. The package comes with a full two-day itinerary, including a private in-suite Valentine’s dinner complete with violinist; fireworks over the Chao Phraya River; a four-hour treatment at the Oriental Spa; Champagne afternoon tea; plus return transfers with the hotel’s BMW 7-series chauffeur service.